What is your overall rating for Batman: Arkham Asylum? - Not the best but still worth playing very casually. - Good game. Play the game but don't let it take over your life. - Great game. Equally balance it with your life. - OMG Amazing game! What is this thing called a life? 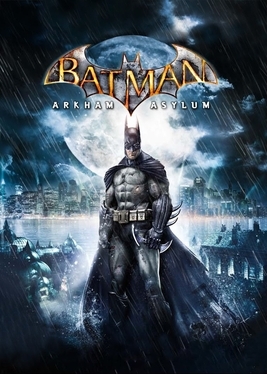 The game takes place after the Joker assaults Gotham City Hall, he is apprehended by Batman and escorted to Arkham Asylum; the asylum also temporarily holds many members of Joker's gang, displaced by a fire at Blackgate Prison. Believing Joker allowed himself to be captured, Batman accompanies him into the asylum. Joker's plan is revealed, as Harley Quinn takes control of the building's security and Joker manages to escape his captors, aided by a corrupt asylum guard who kidnaps commissioner Gordon. Joker threatens to detonate bombs hidden around Gotham City if anyone attempts to enter Arkham, forcing Batman to work alone. What do you rate Batman: Arkham Asylum? If you don't agree with someones rating... Start a debate! But please keep it clean as we are a "family friendly" establishment. I've always wanted to play this and got Arkham City free on PSN+ ... No idea why I haven't got it yet as it's going pretty cheap now, so maybe I'll pick up a copy in the coming weeks.